I recently broke a good-sized piece off a back molar and found myself in the dentist chair. Because I’m allergic to anesthetic, dental work and I aren’t the closest of friends. Fortunately, I don’t have to visit the dentist too often. The next day after much prayer, I agreed to allow the dentist to fix the broken tooth, part of which had lodged itself in a different place. I was grateful when the dentist informed me it would just take a filling. However, the fix (sans anesthetic) was no easy one. “Sorry, but this is going to hurt,” she warned me several times throughout the procedure. She was right - and I have a somewhat high pain tolerance when it comes to dental work. While the replacing of the broken piece of tooth and a large filling is not considered a major medical situation by any stretch of the imagination, it was excruciating. I folded my hands and continued to pray, having faith that God would bring me through this. It wasn’t long before my mind wandered to a book in the Old Testament. I can just hear the murmurs of the frightened Israelite people as this report passed from person to person. Powerful fortified cities? Large scary people who were so big they made normal people look and feel as tiny as grasshoppers? I wondered if the Israelites covered their mouths in shock and gasped in horror. Surely they failed to realize that there was Someone larger than the obstacle they saw before them. Surely there was Someone in control of the entire situation. As I waited for the dentist to finish the tear-inducing procedure, a thought came over me: Am I going to be like Caleb (and Joshua) – brave men of God who knew they could forge ahead and take possession of a foreign land, so long as God helped them; or was I going to be like the rest of the Israelite leaders and cower in the corner, with a lack of faith? Was I going to be brave like Caleb and Joshua and know that God would help me through this, or was I going to give up because the going wasn’t easy? I was in pain for nearly a week after my dentist appointment and I would be lying if I said I’m looking forward to visiting the dentist chair again. But I learned something important that day. I learned that sometimes seemingly small trials can make a huge impact on our faith. QUESTION OF THE DAY: What seemingly small trial impacted your faith? Leave a comment and an e-mail addy (yourname_at_address_dot_com). Penny is giving away a copy of her newest release, KAYDIE. For the first time in years, Kaydie Worthington Kraemer can breathe easily. Although she is still haunted by memories of her abusive husband, Darius, she takes comfort in knowing the man is dead. Staying with her sister McKenzie and brother–in–law, Zach Sawyer, at their ranch, Kaydie is still wary of men, especially now that she has another life inside of her to protect. As she looks forward to her baby's birth, she builds a protective wall around herself that won't be easy to tear down. Ranch hand Jonah Dickenson views his boss, Zach, like a brother. He does not, however, envy Zach's new role as a husband. Deserted by his mother at a young age and forever despised and rejected by his own father, Jonah has few close relationships. But there's something about Kaydie that draws him to her and makes him question his decision to remain a bachelor. When Cedric Van Aulst, an old friend of Kaydie's, comes to town, an unforeseen prospect of marriage arises. Cedric is someone Kaydie trusts. Will she settle for a safe union with him, or can she trust God to guard her heart and her life in the arms of Jonah? 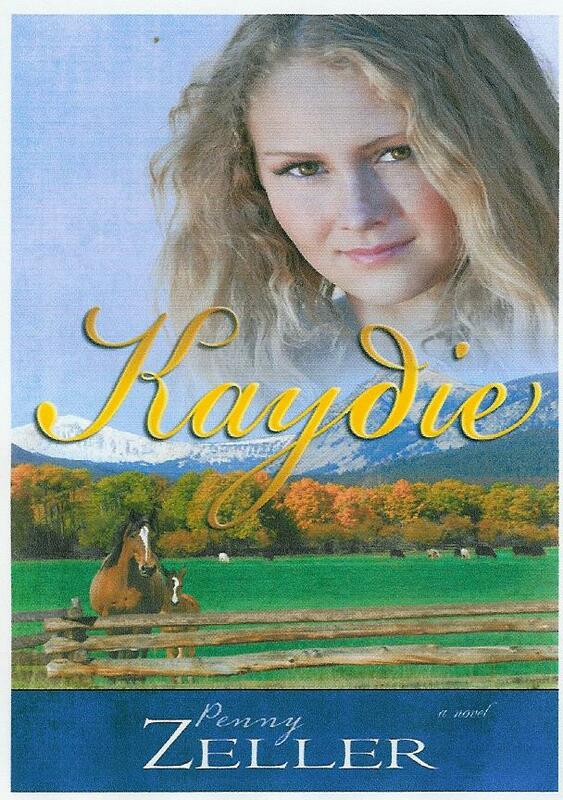 KAYDIE can be purchased at Amazon, Barnes and Noble, and CBD. ouch. Pain. Dental work without novacaine? I'm still getting over that one. Thanks for visiting Penny, and sharing such a sweet story with us. I'm sold on Kaydie as well. Thanks for stopping by Penny! It seems to me that small trials form most of our character as well as our faith. The big stuff is what shines the light on us and reveals the weaknesses, both in our morality and in our faith. Hi, Penny!!! Thank you for sharing your story. Oh, the dentist . . . While I'm at a dental visit, I try to come up with a fabulous story about a dentist hero. So far, nada. Ouch! Seems like every time I go to the dentists office we are talking about having major work done. I have great teeth but lousy gums so major work needs to get done. Your series sounds so good and definitely on my list of books to read. Oddly enough, I was just at the dentist this week too. Jo--if your dentist is talking about major work every time you go, do yourself a favor and get a second opinion. I went through that with my last dentist--who was just fired from the chain I used to go to. Apparently she did all kinds of unnecessary work and scheduled painful, expensive, and unneeded periomaintenance--and did it poorly. I'm now losing teeth she root-canaled. Penny--all that lovely dental stuff aside, the book sounds like a winner. Talking about dentists just gives me a headache so I don't even want to go there! :-) I am blessed with a wonderful Christian dentist that is amazing but dentists still stress me out! One of the best trials I went through that grew my faith was when my husband I bought a home. We had searched for 2 yrs for a home we could afford and we're struggling. Then we prayed together for the first time about us finding a house and sure enough the next day God clearly showed us our home! It was amazing! Kaydie sounds like a great read! Thanks for a chance to win it! Welcome to the Inkwell, Penny. Great post, although talking about dentists makes me squirm. I don't mind their work... it's the needle that makes me cry. When our dentist moved to a new office he put a TV on the ceiling above each chair. Now I put the earphones on and watch country music videos while he does his job. The music blocks out the noise of the drill, too. The last time I went, though I'd lost a filling and because he knew I had 'issues' with the needle, he suggested I go 'commando' as the drilling was minimal. I commend you for having to do it that way all the time, even if not by choice. It still takes guts. Your book sounds interesting. I'll be on the lookout for it. Thank you for stopping by :) Usually I can handle the fillings without novacaine (with prayer and Tylenol, of course!) but this time was twice as big as usual. It really showed me once again how dependent I am on God for everything - even for fillings! Thank you for your comment about Kaydie. What a blessing you gave to me with your words! I know from experience that whenever I go through trials, whether big or small, I am filled with gratitude that I never have to face them alone. Your comment made me laugh! While in the dentist chair, I have dreamed up new scenes for my current book or thought of what I might say for an upcoming interview...But what a great idea you have! Definitely now I think I will have to use your idea and imagine the dentist hero! 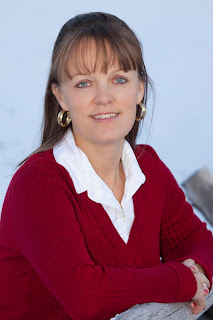 Thank you again, Gina, for inviting me to be on Inkwell Inspirations. What an AWESOME blog!!!! It's so nice to see you here. Ouch! The gum thing doesn't sound fun. All this dentistry always makes me wonder about people's teeth in the 1800s. Do you notice they never smile in old photos? LOL! Jo, thank you for always being so enthusiastic about my books. I really appreciate you! I am so sorry to hear what you have gone through at the hands of your dentist. That's awful! I did have to chuckle, though, when you mentioned the dentist in your story might be the villian. What a great plot! Thank you for your kind comment about my book. Have a wonderful weekend! You are really blessed to have a Christian dentist. Wouldn't that just be wonderful to be able to ask them to pray with you before a procedure? I think that would be awesome and really make the dreaded dentist trip a bit more manageable. Thank you so much for sharing your story about your home search. I love how God showed you a home after your first time praying together. What a testimony! He never ceases to amaze me in the variety of circumstances in which He works. Thank you for your sweet comment about my book! Ugh. I have issues with needles too! I go every year for a wellness blood draw at our local hospital and they always recognize me and say "oh, there's the girl who needs a room." They are so kind and take me into one of the rooms and allow me to lie down so I don't pass out. It's nice because the one who draws my blood each year is a Christian. We always get into the most amazing stories about God and His faithfulness. What a great idea to be able to watch TV while having dental procedures done. Someday when my small town catches up with modern technology, I hope they offer that here too! Thank you for sharing your experiences, Anita. It was nice to meet you! Penny, I admire you for having dental work without novacaine. When I was a kid and lived in Japan, they did our fillings without it. I've been terrified of dentists ever since. Thanks for joining us today and sharing. Your book sounds great. I will certainly think of you the next time I have novacaine and be twice as thankful! Thanks again for "guesting" with us, Penny. What a gorgeous blog! Love it!! And a great post, by the way. Thank you for hosting Penny ~ I look forward to reading her works. Question of the day: What small trial impacted my faith ~ well, out of many, I'd have to say one was when we had hit bottom, financial-wise. We needed food, so my daughter and I went to the grocery store with about $20 in checking. I parked the car and stepped out ~ right on a $20 dollar bill. God is so good and meets our needs ~ but sometimes, it's the actual trust in the prayers that is the hardest. It's easy to say "Trust in the Lord" yet it can be so very difficult! I look forward to reading Penny's works ~ they really sound terrific! What appeared to be a simple ankle sprain 3 years ago has tried my faith in many ways. This injury was actually a broken foot that turned into a nreve disorder called RSD which has left me permanently disabled. I am still trying to figure out what God's plan for me is. I am continuing to listen. It was a pleasure to read this blog. Penny, I am falling short of words to praise your great work. it's wonderful. Please keep it that way.